Understanding Bed Bug Life Cycles are Important. NJ bed bug specialists are busier than ever with the increasing influx of bed bugs expanding their populations around the world. While international traveling is still a top activity, the downside is the exposure guests are experiencing with bed bugs who’ve made hotels their stomping/chomping ground. In Helsinki, Finland, a new product for bed bug detection has been developed by Valpas. The automated safety system is the first of its kind and works on a simple premise. The product is attached to bed legs in hotel rooms to capture the tiny pests that haven’t checked out. Once they’re caught, hotel staff is alerted by the “smart” leg technology who can then take steps to address the issue before the bloodsucking bed bugs set up permanent residence. By making this smart technology available to hotels, guests are less stressed when checking in busy hotels that have repeat guests who know the hotel has active bed bug detection. It’s a win-win situation for both hotels and guests. Hotels can expect more guest traffic due to safety measures and guests get to enjoy a better bug-free experience. 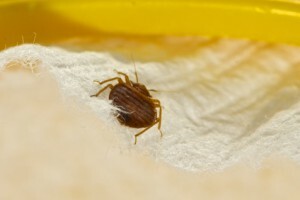 On the home front, if you find signs of bed bugs in your home, you need the help of NJ bed bug specialists from Stern. Our technicians will do a full inspection, then plan an action of attack. When bed bugs arrive, Stern is on your side. Call today. When You Need Help Call the Bed Bug Specialists – Stern Environmental Group! Bed bugs are prolific travelers moving into homes, schools, hotels, churches, buses, or anywhere they can get access. This can be through transportation such as luggage, backpacks, briefcases, clothing, etc. or bringing infected items into your home from yard sales. While bed bug bites aren’t generally harmful unless someone has an allergic reaction, they are annoying because they cause red itchy welts on any part of the body they have access to. While you may think over-the-counter products will rid you of the situation, it’s best to use the services of pest control specialists who can handle the problem from top to bottom and everywhere in-between. 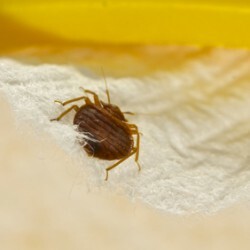 Finding the right NYC bed bug exterminator service is important. These tips are just a few to help point you in the right direction. * Ask friends and family for any pest control recommendations. * Use only licensed contractors and insured companies that promote integrated pest management as their level of service. * Do your homework by asking companies for references. 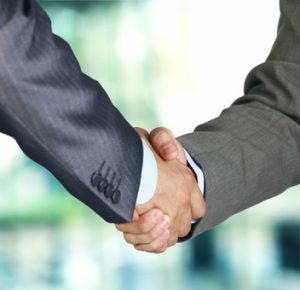 * Request an inspection and a written report that is signed, dated, and delivered before agreeing to any treatments. If you’re experiencing a bed bug infestation in your home or commercial property, or you’re concerned you might have a problem with the pests, contact the experts at Stern Environmental. Our experienced NYC bed bug exterminator technicians know how to remedy the problem with proven techniques and treatments. There is Legal Recourse for You to Consider. Whether you stay in a hotel for business or vacation, one of the worst possible experiences is finding bed bugs in your room. If you end up being bitten by these pests or having to get rid of belongings due to an infestation, what kind of legal help can you expect? It’s not unheard of for people to seek legal recourse for a bed bug encounter at a hotel. In fact, a case that is currently pending in court involves a resort in Atlantic City. A guest is suing the resort after she and a friend were bitten by bed bugs during their stay. The plaintiff is accusing the resort of failing to take the necessary steps to prevent bed bug infestations, such as training employees on detecting and reporting them, which caused her physical and emotional distress. If you discover bed bugs in your hotel room, our NYC bed bug specialists want you to know that it’s important to report them right away and ask for a different room. Keep in mind that you should thoroughly check your suitcases and other belongings before leaving to make sure you don’t bring bed bugs home. If you need help from NYC bed bug specialists, give Stern Environmental Group a call. We provide safe and reliable bed bug services in the NYC area.